1 GB free cloud storage, After that $0.99 per month for 10GB. 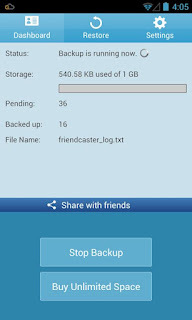 Invite Friends/Contacts and get more Free space. 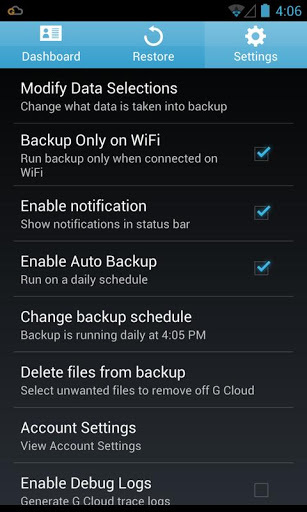 Back up App settings for Rooted devices. 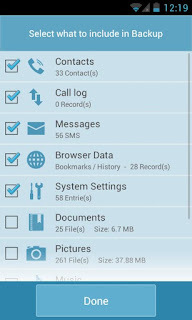 Ability to Access Data on your Device from a Web console. Option to change backup schedule. 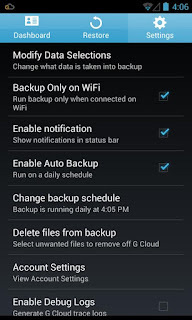 Automatic backup can be disabled. English, Italian, Dutch , Romanian, Spanish, and Arabic Supported. 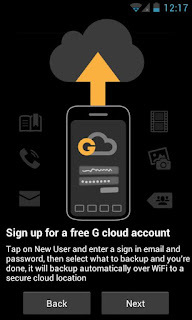 Download and Install G Cloud Backup from Google Play. And your selected data will be backed up to a secure cloud space. The G Cloud Backup uses Secure Socket layer data transfer. 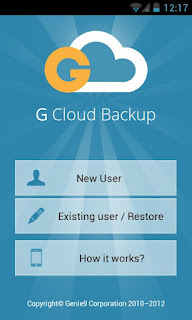 G Cloud backup is capable of backing up your files when connected to WiFi or plugged in using usb cable or when having sufficient battery life. 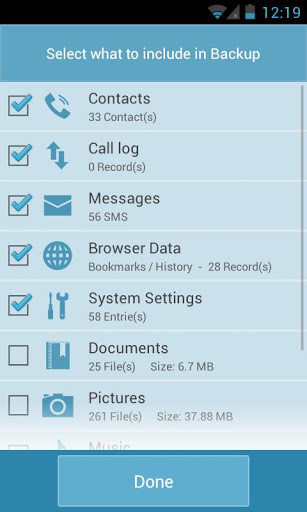 With this app you can also use 3G for backing up your data. If your Android device gets stolen or misplaced or you upgrade to a new device, G Cloud Backup can also restore your data to your new device. 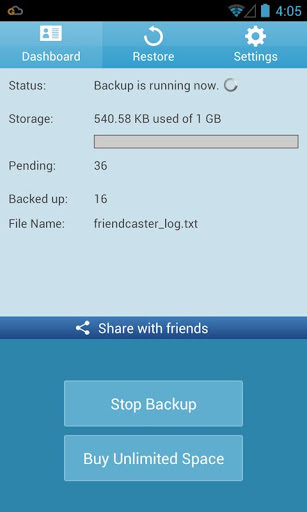 For Android users who would like to take advantage of this awesome app, Can Download this app from Google Play for Free and get 1GB free online storage which is sufficient for normal use. 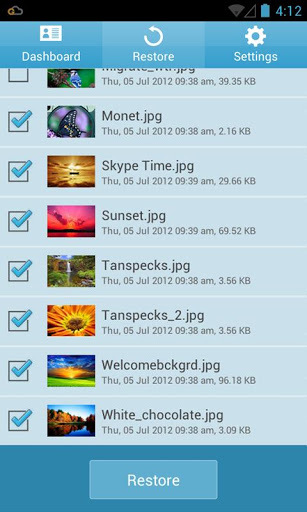 If you are one of those who require large storage space then you can get 10GB storage for $0.99 per month. 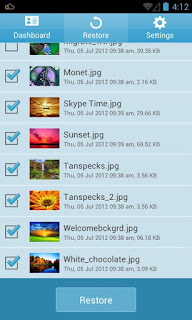 You can also get unlimited online storage for a reasonable $3.90 per month. This is an amazing app and one of my favorite Android apps. The best thing about this app is, Free 1 GB cloud storage which was sufficient for my daily backups. The app is easy to use and works perfectly. I would recommend this app to everyone. 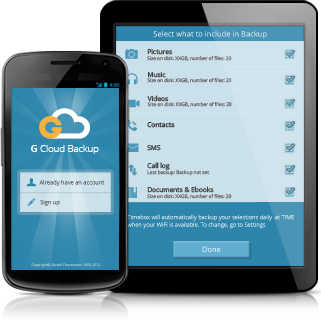 G Cloud backup - The easiest Android cloud backup ever.